Small handmade wooden ship in a bottle, on a wooden stand - 7cm. 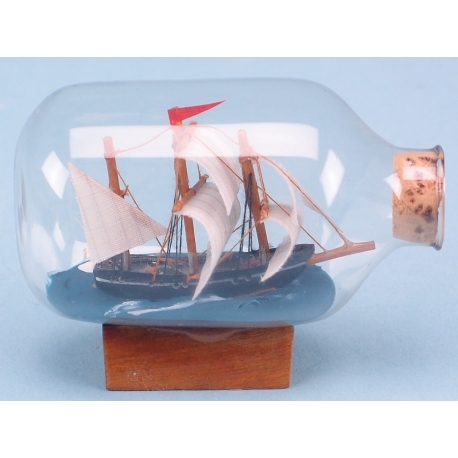 A wooden ship in a miniature glass bottle - length 7cm. 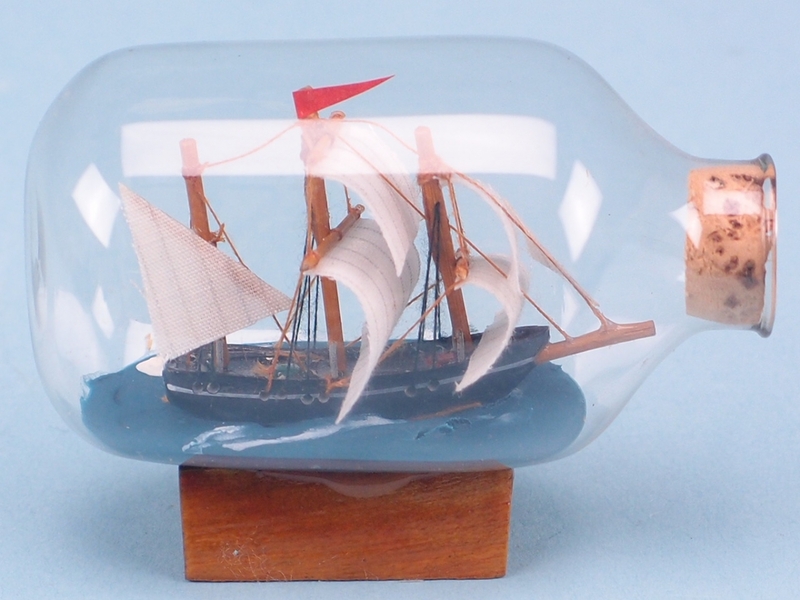 This unique small ship in a bottle is wooden, handmade and sealed with a cork. It is standing on a wooden base and it's 7cm long. It can be a great nautical gift for your customers!